Pianozzazz is a new and exciting series by Wes Froese, Andrew Harbridge, Christopher Norton and Debra Wanless. 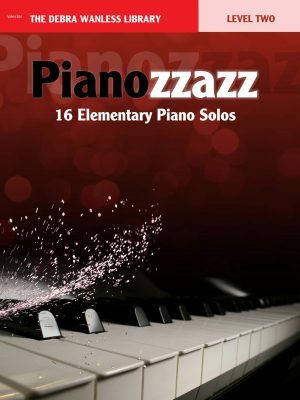 Pianozzazz Level One includes 16 Elementary Piano Solos in a wide range of styles, keys and metre. Each level of Pianozzazz includes entrance level works progressing to more advanced pieces in preparation for the next stage of learning. 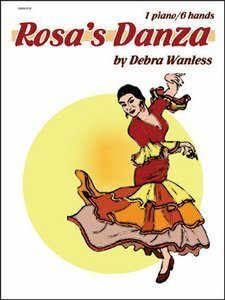 Titles include: Desert Dessert (Mediterranean); Park Place (swing); Stomp! Clap (rock); Sub (rock); Astronaut in Space (character piece); East Side Boogie; The Big Brown Bear Birthday Boogie Beach Bash; The Hunter (character piece); Looking for Something (rock); Cutting the Mustard (swing); Shadow Dance (neo Classical); The Colour of Water (pop ballad); Deep in the Caverns (character piece); Pentastic! (blues); Riding the Athabasca Trail on an Appaloosa (western swing)); We’ll Rant and We’ll Roar (folksong). Pianozzazz provides teachers and students with ideal pedagogical works for festival, recital, examination and ‘fun’, recreational repertoire. Kids will play cover to cover – a must-have! Pianozzazz is a new and exciting series by Wes Froese, Andrew Harbridge, Christopher Norton and Debra Wanless. Pianozzazz Level Three includes 16 Elementary Piano Solos in a wide range of styles, keys and metre. Each level of Pianozzazz includes entrance level works progressing to more advanced pieces in preparation for the next stage of learning. Titles include: Dancing on the Sand (pop); Go Kart 500 (rock); Rikki’s Number (rock); The Juggler (rag); Daydreams and Memories (ballad); If it Ain’t Baroque Don’t Fix It; Mustang (boogie); Ostinato in Five (etude) ; French Holiday (swing); Guitar Player (rock); Not a Smoothie! (jazz); Ambling Along (folksong); Just Chillin’ (swing); My Spidey Senses are Tingling! (tarantella); Playing it Cool! (swing). 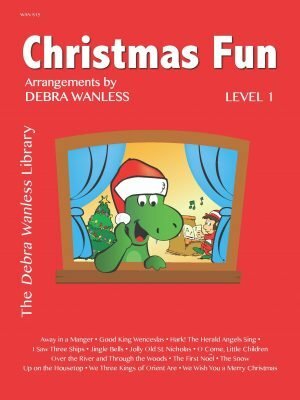 Pianozzazz is a new and exciting series by Wes Froese, Andrew Harbridge, Christopher Norton and Debra Wanless. Pianozzazz Level Two includes 16 Elementary Piano Solos in a wide range of styles, keys and metre. Each level of Pianozzazz includes entrance level works progressing to more advanced pieces in preparation for the next stage of learning. Titles include: Ballet Balancé (dance); It Was a Good Day Today (etude); Pedalling Bike/Piano (character piece); Too Bad There are No Camels in Canada (Arabian); Circus Act (rag); Pirate Dance (folksong) ; The Bamboo Flute (Character piece); Rock Star; Classically Speaking; Still Water (pop ballad); Summer in Stratford (swing); A Rock Ballad; A Taste of Hot Salsa (Latin); Oogie Woogie-Backstreet Boogie; Smooth and Sassy Strut (swing). Pianozzazz is a new and exciting series by Wes Froese, Andrew Harbridge , Christopher Norton and Debra Wanless. 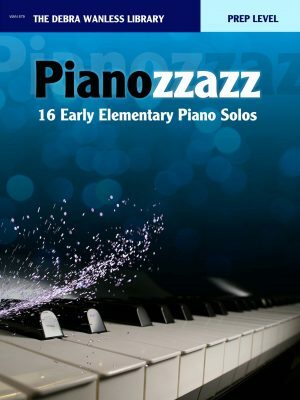 Pianozzazz Prep Level includes 16 Early Elementary Piano Solos in a wide range of styles, keys and metre. Each level of Pianozzazz includes entrance level works progressing to more advanced pieces in preparation for the next stage of learning. Titles include: Drive Mom Crazy! (rock); Kinda Day Dreamy (pop ballad); Popcorn Rag; Tango Very Much; Who Doesn’t Like a Party (12- bar boogie); Arthur and Gwinevere Pendragon (modal); Dance of the Leprechauns (folksong); Sleeping Dragon in a Pentatonic Land (character piece); Knights in Armour (character piece); Taking Turns on the Swing (swing); Tread Carefully! (neo Classical); An interrupted Journery (rock); B’dazzling Blue Beluga (blues); Sad Face E Mode-ji (modal); I Like Chili Peppers (character piece); Sea Stars (Impressionistic).